Food will be available starting at 5:00 PM. Presentation starts at 5:15 PM. 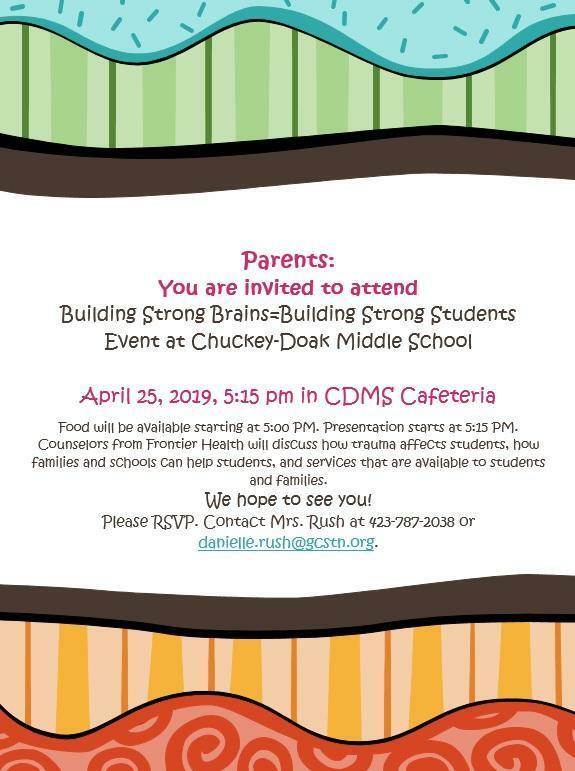 Counselors from Frontier Health will discuss how trauma affects students, how families and schools can help students, and services that are available to students and families. Please RSVP. Contact Mrs. Rush at 423-787-2038 or danielle.rush@gcstn.org.